% of the regular cost of using a removalist. Whether moving down the road, interstate or internationally packing you own Shipping Container can save you thousands of dollars. 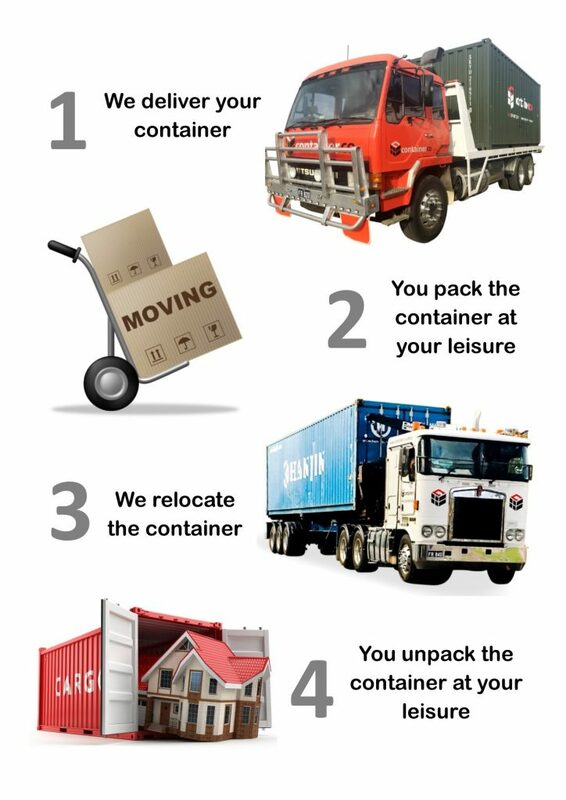 Containerco are one of the most trusted and respected container removals companies in Australia – just check out what our Customers have to say about us! Our self pack shipping container service allows you to have full use of a 20 Foot or 40 Foot Shipping Container to be placed at your property for you to load, then relocated to your new property for unloading. Go your own container? No problems, we can assist you with moving it, that’s easy, container transport is a part of our core business and we do it every day. Call our team today on 1300 570 891 to organise an obligation free quote! Generally, a 20ft shipping container is large enough to hold a standard three to four bedroom home. It is important to maximise the use of the space inside and ensure that nothing moves during the travel to your new destination. Use some sturdy boxes, packing noodles, bubble wrap, old sheets, blankets and towels to minimise the chance of any breakage within your 20ft Shipping Container. Tape up the bottom of boxes to reinforce the strength. Fill up any extra space in the box with pillows, newspaper or other type of filler. Boxes fit in best when they are square therefore try not to over fill them. Mix small items with larger items to fill spaces, and don’t save all your boxes for the end. All heavy boxes and items should be placed about those that have breakable items in them to minimise any shifting during the move. Drain all fuel and oil from any equipment such as lawn mowers and chainsaws. Ensure all the batteries are disconnected. 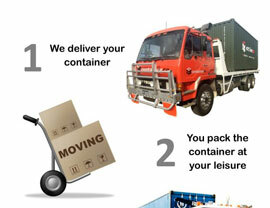 When Loading your container ensure you utilise the tie down points throughout the container. Use of ropes or ratchets strapping will help secure the load and minimise any shifting during the move. Make sure all your appliances such as dishwashers, fridges, freezers are clean and dry with the doors taped closed. Tape up any cords to the sides of the appliances.